The Senate on Tuesday passed a sweeping public lands conservation bill, designating more than one million acres of wilderness for environmental protection and permanently reauthorizing a federal program to pay for conservation measures. Colorado U.S. 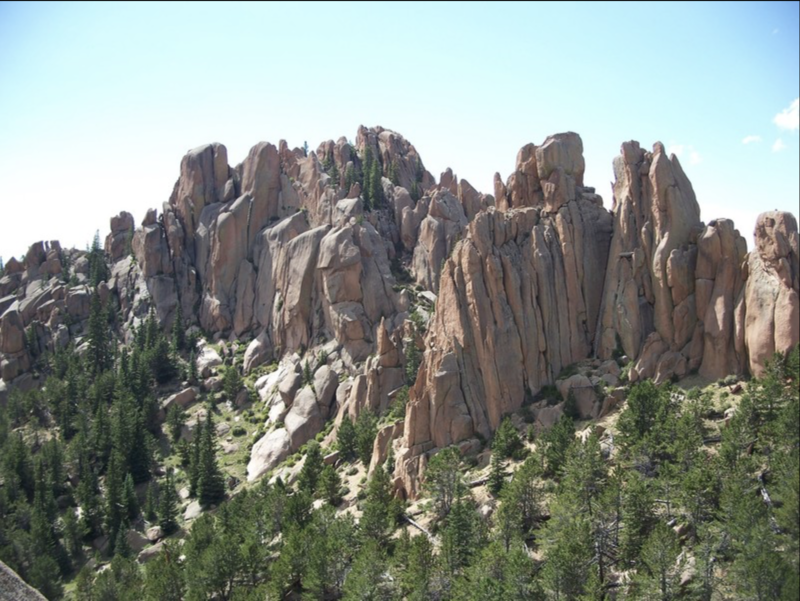 Senator Michael Bennet today applauded Senate passage of the Natural Resources Management Act, commonly referred to as the “lands package.” Bennet secured 10 provisions in the package that will improve land management and expand access to public lands in Colorado. Additionally, after a decade of fighting to save the program, Bennet helped secure permanent reauthorization for the Land and Water Conservation Fund (LWCF). Over the years, Bennet has visited several LWCF-funded projects in Colorado, including the <a href="http://Over the years, Bennet has visited several LWCF-funded projects in Colorado, including the Animas River Trail in 2016 and the Yampa River Project in 2018, to advocate for the program. LWCF has invested more than $268 million in Colorado projects since its inception.”>Animas River Trail in 2016 and the Yampa River Project in 2018, to advocate for the program. LWCF has invested more than $268 million in Colorado projects since its inception. Senator Cory Gardner (R-CO) today released the below statement after the Senate approved a public lands package, including permanent reauthorization of the Land and Water Conservation Fund (LWCF), as well as numerous other Gardner-authored bills that have a direct impact on Colorado. Since his election to the Senate, Gardner has been an LWCF champion. Gardner spoke at an LWCF press conference touting the importance of making the LWCF program permanent by promoting its 100-day campaign in June, and led another press conference reiterating the need for this program in November. In July 2018, Gardner spoke on the Senate floor to address the necessity of this program being fully funded in order to conserve and preserve public lands, and joined his colleagues in a bipartisan effort to permanently reauthorize LWCF by introducing an amendment to the appropriations bill. In December of 2018, after years of work, Gardner played a key role in securing the first up-or-down vote on permanent reauthorization in the program’s history. “The Conservation Fund is thrilled to see permanent reauthorization of the Land and Water Conservation Fund pass the Senate, as LWCF is a critical tool in Colorado and nationally for preserving land for outdoor recreation, conservation, and economic development. U.S. Senator Gardner joined us last year at Black Canyon of the Gunnison National Park to celebrate a LWCF success that added nearly 2,500 acres to the Park, increasing access for hikers and anglers and supporting local economic development. He and the Colorado congressional delegation have been fighting hard to keep LWCF available to protect our nation’s greatest places.”- Christine Quinlan, Colorado Field Representative for The Conservation Fund. “Today, Coloradoans voicing their strong support for more access to parks, trails and open spaces were finally heard in Washington, D.C. The Senate passed legislation to permanently reauthorize the Land and Water Conservation Fund. From neighborhood parks to national parks, LWCF brings real benefits to our urban and rural communities and economies, and is an issue that transcends the partisan divide. I want to thank Senator Cory Gardner for his leadership in pressing for permanent reauthorization of LWCF, and for working in a bipartisan fashion to win Senate approval. We look forward to working with him to get LWCF authorization over the finish line in the coming weeks.” – Jim Petterson, Colorado and Southwest Director for The Trust for Public Land. The bill also blocked mining efforts near two major national parks, including Yellowstone. Far be it from me to suggest that all the pressure concerning the idea of a Green New Deal and, with it, a renewed energy in the environmental community, may have concentrated various senatorial minds a little bit on this issue, but it’s a good deal for the country anyway.